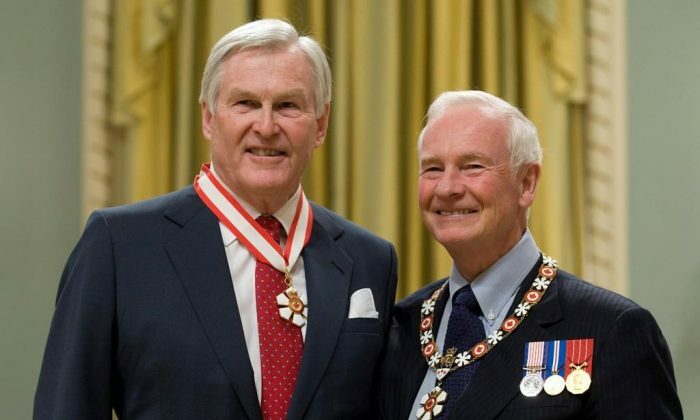 TORONTO—Michael Wilson, a former politician, diplomat, and longtime mental health advocate, has died at 81. The University of Toronto, where Wilson served as chancellor from 2012 to 2018, confirmed his death in a post on its website on the evening of Feb. 10, saying the school’s flag will fly at half−mast until Wilson’s funeral. Wilson served for over a decade as the Progressive Conservative MP for the Toronto−area riding of Etobicoke Centre, including time as finance minister and minister of international trade under then prime minister Brian Mulroney.